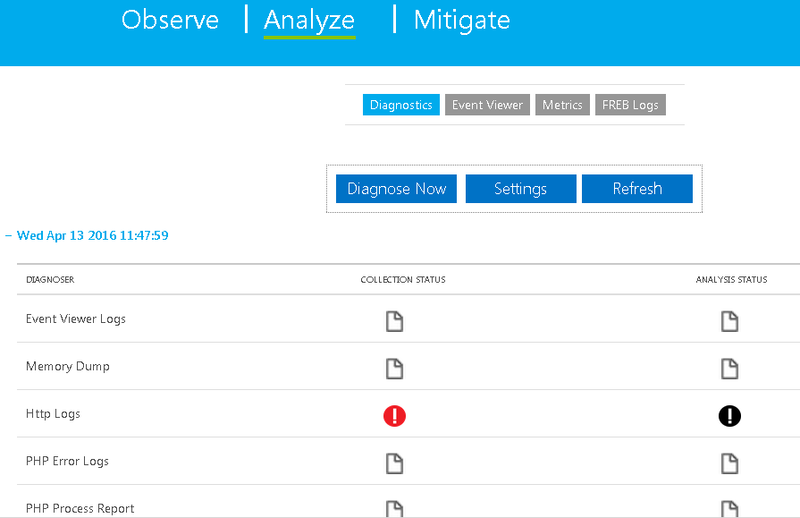 with Azure Portal & Azure Application Insight's diagnostics. 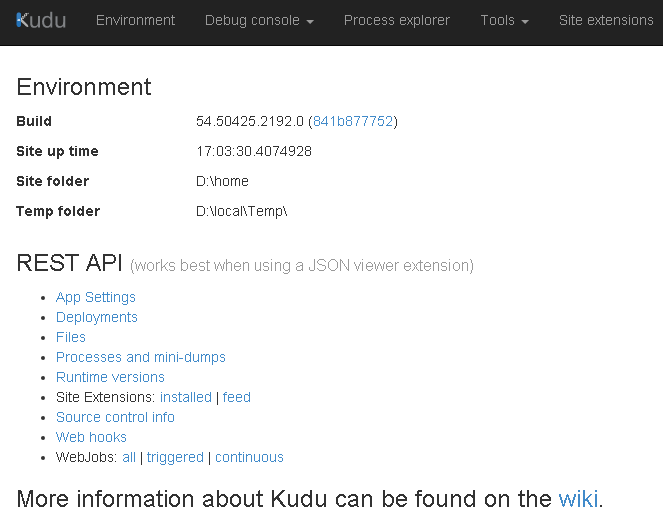 "Every Azure web site has an associated 'scm' service site, which runs both Kudu and other Site Extensions. If your web site has URL http://mysite.azurewebsites.net/, then the root URL of the Kudu service is https://mysite.scm.azurewebsites.net/. 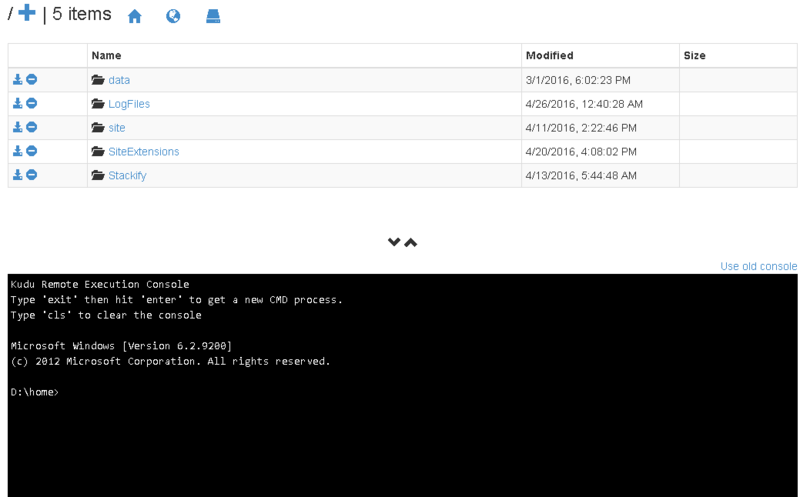 Note the added scm token."